SARAH DALEY-PERDOMO (South Elgin, IL) began her training at the Faubourg School of Ballet in Illinois under the direction of Watmora Casey and Tatyana Mazur. She is a 2009 graduate of the Ailey/Fordham BFA Program in Dance. 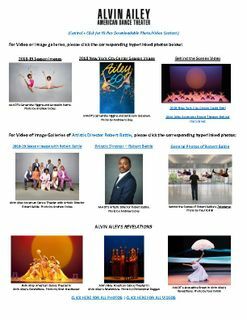 Mrs. Daley-Perdomo trained at institutions such as the Kirov Academy, National Ballet School of Canada, The San Francisco Conservatory of Dance, and intensives at Ballet Camp Illinois and Ballet Adriatico in Italy. She is a recipient of a Youth America Grand Prix Award and an ARTS Foundation Award. 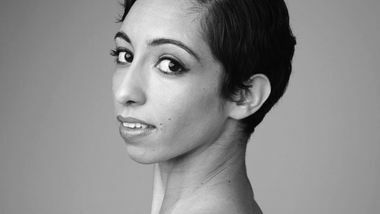 She was a member of Ailey II and joined the Company in 2011. When former South Elgin and Bartlett resident Sarah Daley was growing up, she became an instant fan of the Alvin Ailey American Dance Theater after seeing the company perform at Chicago's Auditorium Theatre of Roosevelt University. Everyone expects professional dancers to be in great shape. 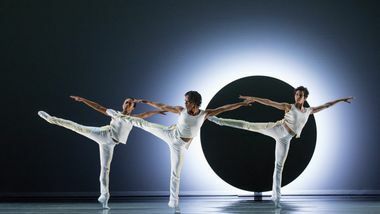 But a company like Alvin Ailey American Dance Theater, with an annual five-week season in New York, 150 days a year on tour and over 200 performances annually, requires Herculean physical strength and extraordinary mental clarity. 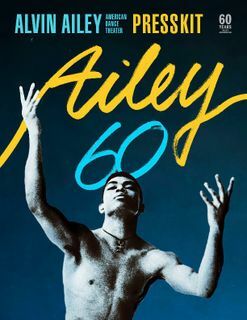 Each Ailey dancer develops a personalized regimen to sustain their energy and ward off injuries, all while maintaining some semblance of "normal" life.